costing less than £18 using only equipment that would be found at a Scout camp. meal with a Southern Africa theme complete with table decorations etc. dutch oven over a gas burner, using a recipe from Gabon. to: James Popplestone, Sam Moors, Harry Jones and Josh Taylor. © 2002 - 2019 1st Finchampstead Scout Group. 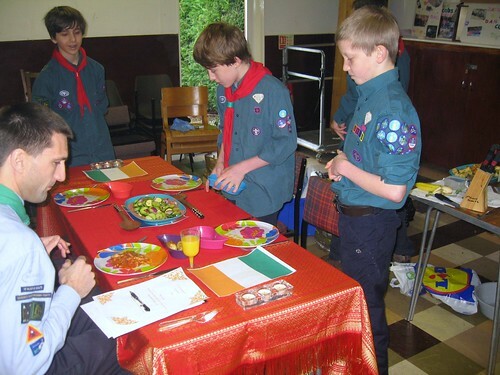 Scouts learn by doing - here's how this website was made. Thank you to 34SP for providing website hosting.